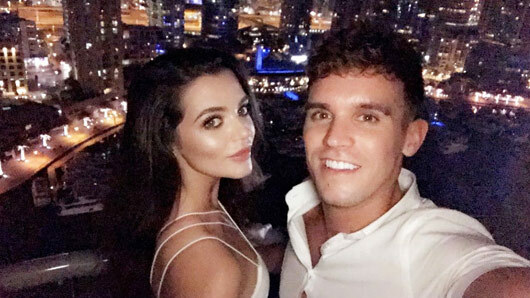 The temptation to tash on clearly became too strong, as Gaz Beadle has now dumped Emma McVey whilst filming for Geordie Shore. Gaz and Emma started dating back in August last year and have been in a serious relationship ever since. However, the reality star recently ended their romance via text while filming for the latest instalment of the MTV series. As if a break-up text wasn’t brutal enough, the star also demanded Emma immediately move out of their house which she “furnished and paid for” herself. Ouch. To top things off, his now ex-girlfriend has also accused Gaz of being unfaithful to her whilst they were together. Taking to Twitter, Emma posted a full explanation of the break-up, exposing Gaz as a “selfish narcissist”. She wrote: “I’m going to put this out there now because I keep getting sent photos and videos of Gary with young girls, which are both from when we were together and from now that we have just broken up. “Whilst he’s been filming Geordie Shore, he decided to send me a TEXT ending things, telling me to move my stuff out of OUR home that I furnished and paid for without explanation. However, Emma made clear that, despite the wrongdoings, she feels positive about the split and sees Gaz’s decision as a blessing in disguise. Geordie Shore returns this summer on MTV.